The submission of the outline planning application to Aylesbury Vale District Council this week follows an extensive programme of community and stakeholder engagement. Aylesbury Woodlands is intended to be a high quality sustainable scheme designed to deliver green infrastructure. It will offer mixed land use with the provision of commercial premises to facilitate employment growth, leisure opportunities to promote health and well-being and housing. The Aylesbury Woodlands site is bounded to the south by the A41. To the north is the Grand Union Canal; to the east is the Arla dairy and the County Council Household Waste and Recycling Centre. To the west is the existing urban edge of Aylesbury, including the residential area of Broughton. The site covers an area of approximately 200 hectares. The design and delivery of the Eastern Link Road through the Woodlands scheme is a key element of the master plan. The road will improve north south connection by providing the missing link between the A41 and the A418. It will also provide a radial route to the east of Aylesbury Town Centre. The eastern commercial area of the Aylesbury Woodlands site was granted Enterprise Zone status as part of the spending review announced by Chancellor George Osborne on 25th November 2015. 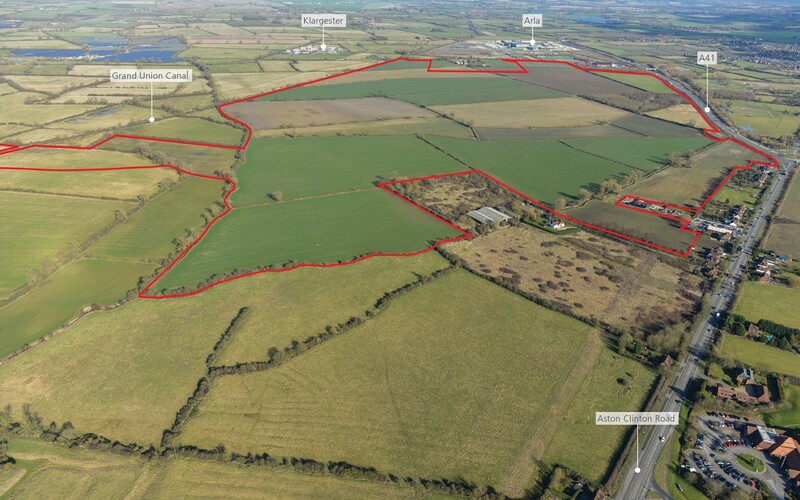 This is part of the strategic Arla/Woodlands site allocated under the ‘Aylesbury Vale Enterprise Zone’.